Playing out with friends is a fond part of anyones childhood, whether you’re more into cricket or hide and seek. 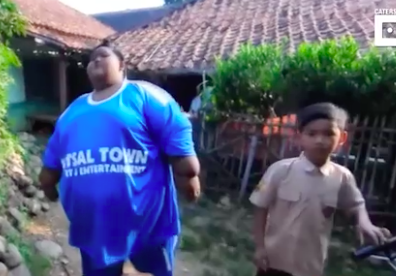 However, for 12-year-old Arya Permana from from West Java, Indonesia, running about with mates would have at one point been completely impossible. 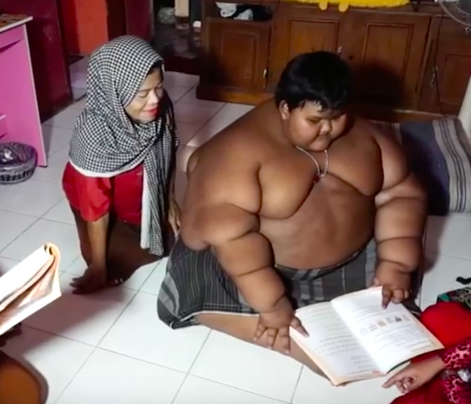 At an uncomfortable 30 stone, Arya was confined to his bed by the time he was just 10-years-old – unable to even get to school or wear any clothes apart from loose fitting sarongs. His daily activities were severely limited to messing around on his mobile phone and cooling down in a small pool of water. With an insatiable appetite, Arya would gorge himself on enough food to fill two fully grown adults; favouring rice, fish curry, beef, vegetable soup and Tempeh. 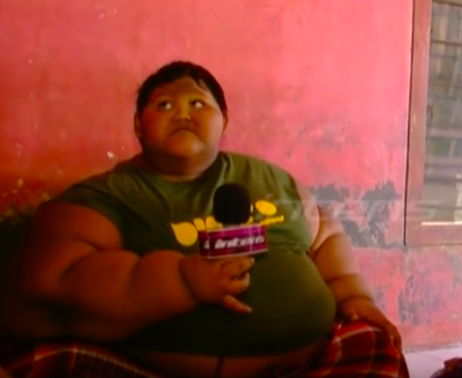 He ate five times a day and is said to have always been hungry, tired and breathless. He only ate and slept. There is no other pain than seeing your own child suffering. No mother wants to stop feeding her children but I had to as I was helpless. We had no money to see doctors and had exhausted all our savings in feeding him. Arya became known across the world for his unusual size, which soon brought him to the attention of expert dieticians. In an impressive show of determination, Arya has now been able to dramatically change his life for the better. He switched his unhealthy diet around to include plenty of nutritious fruit and veg and took advice from dietary experts. He also underwent bariatric surgery last April, which led him to drop an incredible three stone in as many weeks. Following the surgery, the once ravenous child can now only consume four tablespoons of rice and drinks diet milk. He’s also restricted from eating carbs and sugar. Now weighing in at 19 stone, Arya’s health and well-being has vastly improved and we couldn’t be happier for him. The boy who once couldn’t have managed the walk to school, now enjoys an active and energetic life; playing football and badminton with friends and even running a challenging two kilometres every day. I am really happy to see my son’s health now. I cannot express in words how I happy I am. It feels wonderful to see him playing and going to school like normal. He was a bright student and always topped until he had to quit school for not being able to walk. 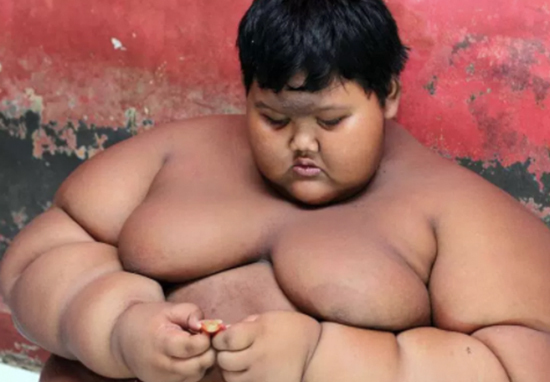 We are hoping he’ll soon lose the remaining extra weight and live a healthy, normal life like our other kids. 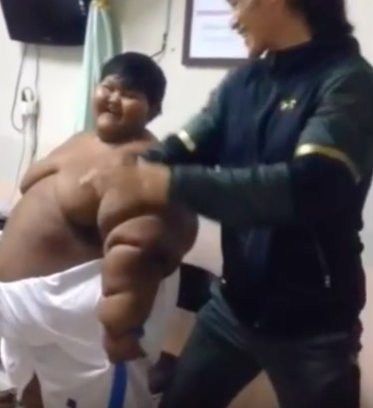 It’s impressive when anyone decides to go for a healthier lifestyle, but this is particularly admirable when you consider this is a very young person. However, Arya may still have a few hurdles to overcome, with his parents believing he might require further surgery this year. With willpower like this, I’m sure Arya will go on to achieve plenty more in life.